If a time-machine could take us back through the centuries, which musical occasion might we choose to attend? Surely a soirée at Rossini’s Parisian home would be high on anyone’s list! If a time-machine could take us back through the centuries, which musical occasion might we choose to attend? Surely a soirée at Rossini’s Parisian home would be high on anyone’s list! 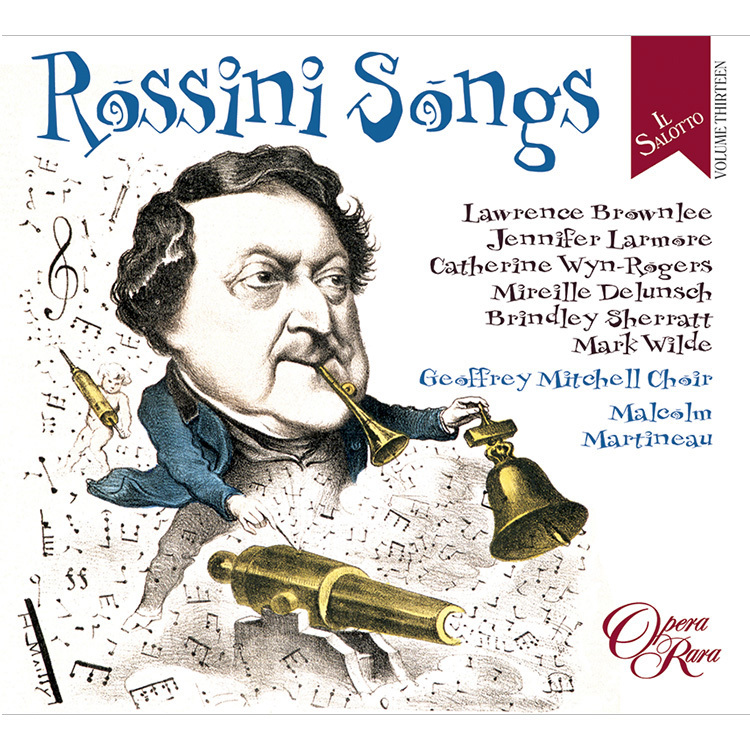 After his move from Italy to Paris in 1855, Rossini would regularly invite some of the most famous singers of the day to perform at his home. The guest-list would read like a who’s who of the French capital at that time and, given Rossini’s fame, both as gourmet and wit, you could be certain that the food would be as excellent as the conversation amusing. Then, of course, there’d be the chance to hear something new by the great master himself. 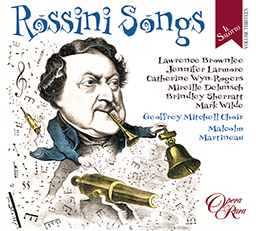 Although he abandoned operatic composition in 1829, Rossini went on to compose hundreds of short vocal and piano pieces to entertain those lucky enough to be invited to these famous Saturday evening salons.Featuring soloists including Mireille Delunsch, Jennifer Larmore, Catherine Wyn-Rogers and Lawrence Brownlee, this latest release in Opera Rara’s Il Salotto series presents a programme of ravishing songs and ensembles from this period, including the mighty Le Chant des Titans, in which the giants threaten the god Jupiter, performed by soloists from the Geoffrey Mitchell Choir. 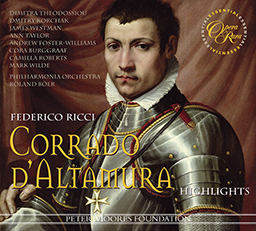 The Royal Opera House’s Renato Balsadonna is Chorus Director with accompaniments from Malcolm Martineau on piano and Nicholas Bosworth on harmonium. 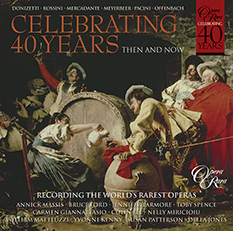 Lawrence Brownlee, Jennifer Larmore, Catherine Wyn-Rogers, Mireille Delunsch, Brindley Sherratt, Mark Wilde, Geoffrey Mitchell Choir. Malcolm Martineau, piano.